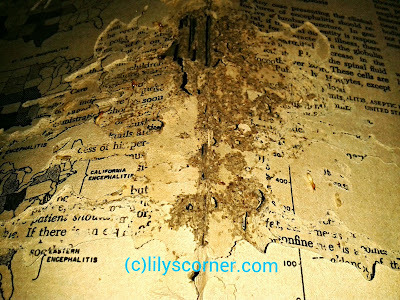 Home » Pest » Termites » Termites Killer » Termites Attack! 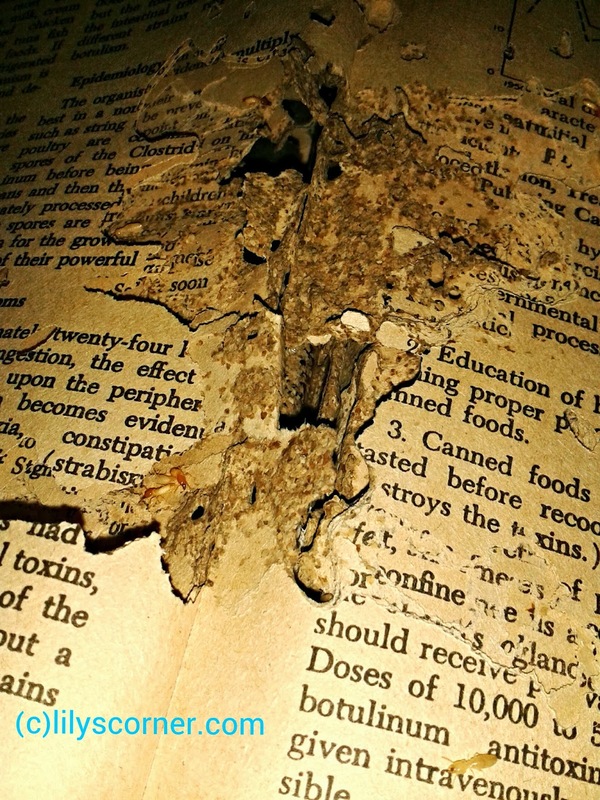 One of my books eaten by termites! Most of the books they feasted on were the old ones given by my cousin's wife. 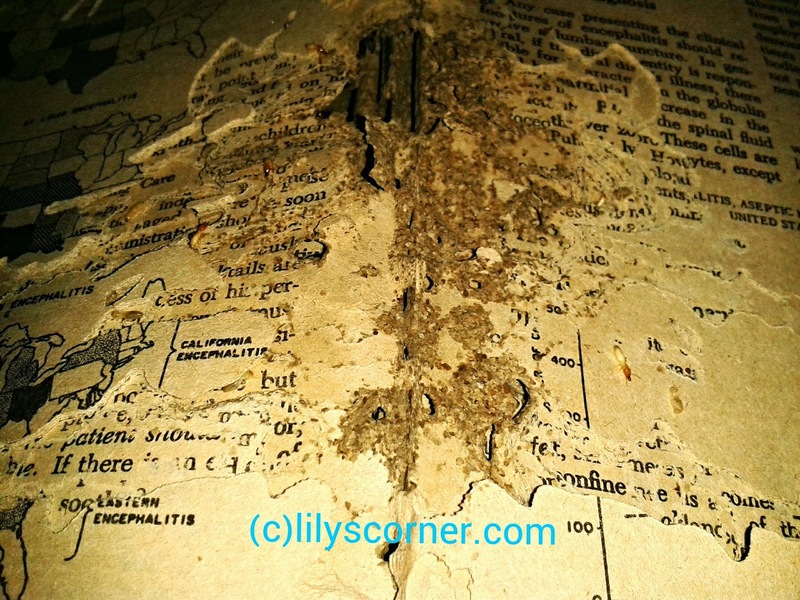 Sad to say, I had to burn those books because the termites already made some kind of colony in them. In addition, the books cannot be saved anymore. I also encountered termites in our old apartment. A lot of my books and paper were really damaged. We actually have a family friend who comes to our house on a quarterly basis to fumigate our entire home. Probably the worst experience of having termites at home was when my beau was bitten while asleep. He had his leg by our window, and was awoken to a bunch of termites on his knee. It was excruciating and disgusting to look it. We probably didn't sleep in our room for a couple of days until the whole room was properly treated. Contacting Termite control company is best. Though we have, a cure for termite infestation. Trying applying used gear oil sa mga wooden parts ng house nyo like sa doors, wood beams, ceiling and walls. Solignum solution controls termites, but let a professional fumigator handle it lalo na pag may bata sa house.